Do you want to complete your visit? 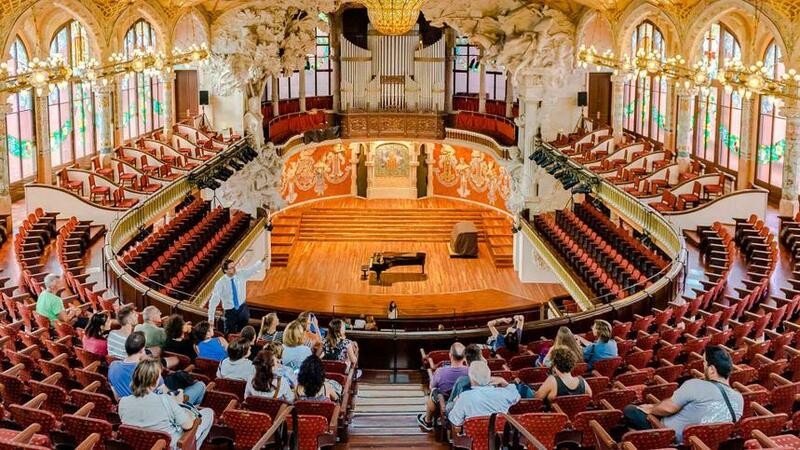 Discover the architecture of the Palau with an piano recital. Enjoy our Art Nouveau Auditorium with a breath of musical life. Discover the architecture of Palau and enjoy a 20-minute piano recital to end your visit. From the stone, the mosaic, the tiles, the glass and the plaster to the intangible magic of the melodies of Bach, Chopin, Mozart and other surprises that are part of our musical imagination.